Being pregnant is wonderful, indeed the greatest gift of God. With it, though, comes a lot of confusion on what to eat and how much. 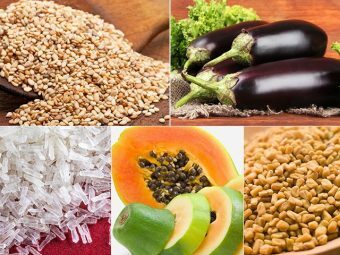 You want to eat healthy, so that your baby gets the right nutrition and you the strength to sail through this demanding phase. But then, the hormones may play havoc and you may be averse to food that you were otherwise fond of. Moreover, what worked for someone else, may not really suit you. What should be done then? The best thing to do is to be aware of the benefits and side effects of various foods, eat natural, avoid junk, get expert advice and most importantly, listen to your body. In this article, we will evaluate plums, as an addition to your pregnancy diet. 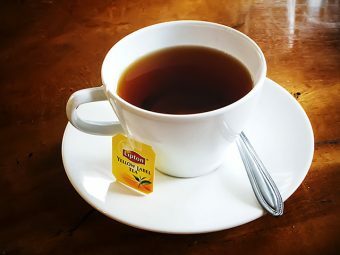 Read on for the benefits and side effects. Going into premature labor is one of the major pregnancy fears for women. Premature labor can mean many things and can even lead to stillbirth. Plum contains a good quantity of magnesium, which can relax your muscles. This can in turn help avoid premature contractions and labor (1). Your heart pumps extra blood during pregnancy to meet the needs of your growing baby. This can, in many cases, lead to anemia. If you are taking iron supplements to counteract iron deficiency, consider adding plums to your diet too. This is because plums contain vitamin C, which is vital for better absorption of iron from your diet. One more great reason to go for the juicy fruit! During pregnancy, all those extra hormones and the growing uterus take a huge toll on the digestive system, making it very sluggish. This is why problems like bloating, constipation, and hemorrhoids are very common. Plums are full of fiber, which helps to ease your bowel movement, thereby making you feel better. Many women complain of tiredness during pregnancy. The exact reason for it is still not known (2). Whatever the cause, the result is far from pleasant. With energy levels hitting rock bottom, many women find it difficult to lead a normal life. Adding plums to your pregnancy diet is a great way to get a kick of energy, since they are rich in antioxidants and potassium. Pregnancy can take a huge toll on your bones because your unborn baby needs a healthy supply of calcium for the development of its own skeletal structure. This is why caregivers prescribe calcium supplements. Plums are very rich in Vitamin K, which along with calcium and Vitamin D, keeps your bones healthy (3). Coming down with flu, cold, diarrhea etc. might not seem serious on normal days. Though, during pregnancy, even the most common illnesses are undesirable. Plums contain vitamin C, which as we all know, helps to greatly strengthen the immune system, and keeps common illnesses away (4). Plums contain a healthy dose of vitamin K, which is known to prevent blood clotting (5). Gestational Diabetes is a very common condition in most pregnant women. 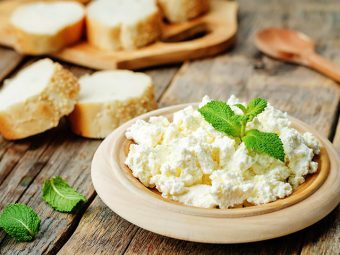 If you want to avoid getting GD, you need to ensure that your diet consists of foods with low glycemic index (6). Plums are one of the best fruits you can consume to prevent or manage gestational diabetes, thanks to their low glycemic index. Preeclampsia, or high blood pressure, can prove to be fatal during pregnancy. Plums contain potassium that can regulate blood pressure (7). Even the fiber content in Plum can help reduce the risk of preeclampsia (8). As you can see, plums can make an excellent addition to your pregnancy diet. Watch out though for some negative side effects listed below. Plums are high in oxalates. If you are prone to kidney stones, you may want to avoid plums as they can increase the chance of kidney stones and related symptoms (9). New research shows that you don’t really need to pile on the pounds during pregnancy (10). But that doesn’t mean you need to diet! During pregnancy, your body needs extra calories to gain weight and also to help your baby grow. Plums contain zero calories. Too many plums in a day may fill you up but won’t provide the much-needed calories. 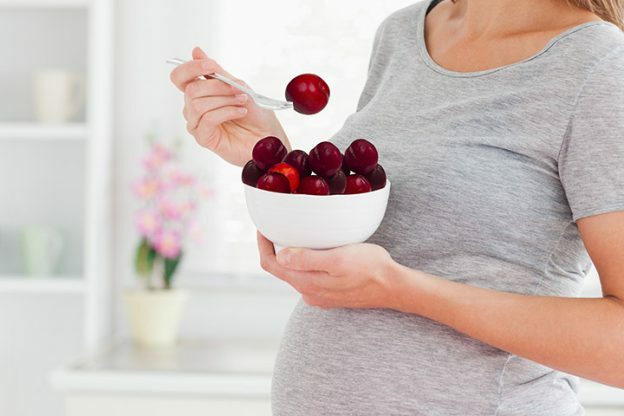 Eating plums during pregnancy is safe and healthy. If you are worried, do talk to your doctor. In fact, if you have kidney stones, consult your health care provider before you include plums in your diet. Make sure your diet contains a rainbow of colors, including plums! Do you like plums? Which is your favorite fruit? Do tell us in the comments section below. 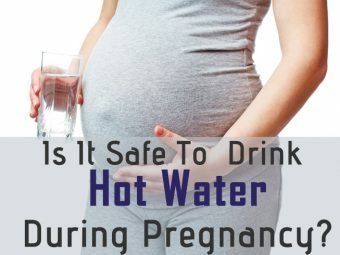 Is It Safe To Drink Hot Water During Pregnancy?